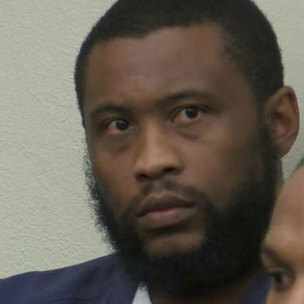 Brandon Duncan, who goes by the Rap name Tiny Doo, is in court for benefitting off the violent actions of fellow gang members. According to ABC 10, Duncan has no criminal record. He and 14 other members of the gang are being charged for being involved in nine shootings since April 2013. The prosecution is using a law voters approved in 2000 that says gang members can be prosecuted if they benefit off criminal acts of fellow gang members. Prosecutors are saying that Tiny Doo’s “No Safety” album sales have been supported by the reputation of the gang. This is the first time the law is being put into effect. Tiny Doo’s cover art, which is below, features a gun and bullets. The lyrics discuss themes such as selling drugs, killing foes and making a better life for his family. Tiny Doo’s attorney, Brian Watkins, says that there is no reason for his client to be charged. ABC 10 asked law professor Alex Kreit for his thoughts on the case and he agrees with Watkins that this law is a stretch. Tiny Doo has worked with Lil Wayne and was featured on a Strong Arm Steady mixtape with Talib Kweli and Planet Asia. Killer Mike said that the use of lyrics is proof of racism permeating society. Last year, lyrics were used in a murder case in San Antonio. In 2008, Vonte Skinner was convicted of murder when his lyrics were used as evidence. An appellate court later overturned the decision, but this caused the New Jersey Supreme Court to consider the allowance of Rap lyrics in court. In light of the consideration, Bun B spoke to MSNBC and questioned the use of lyrics in court.